I have to be honest, I had never planned to visit Turin, Italy’s fourth-largest city. It was merely the closest city from Alba with an airport that could get us home. With an early morning flight we got into Turin mid-morning the day before we were scheduled to leave Italy. It was a Sunday so most things were closed in the city; we had very low expectations for things to do in Turin. The only thing I had thought we might be able to do was see The Shroud of Turin – believed to be the burial shroud of Christ – but I wasn’t going to try that hard. It was the last day of our European adventure, I was tired, wanted to see my kids and have one last bottle of Barolo (ok, probably two since it was still early in the day). 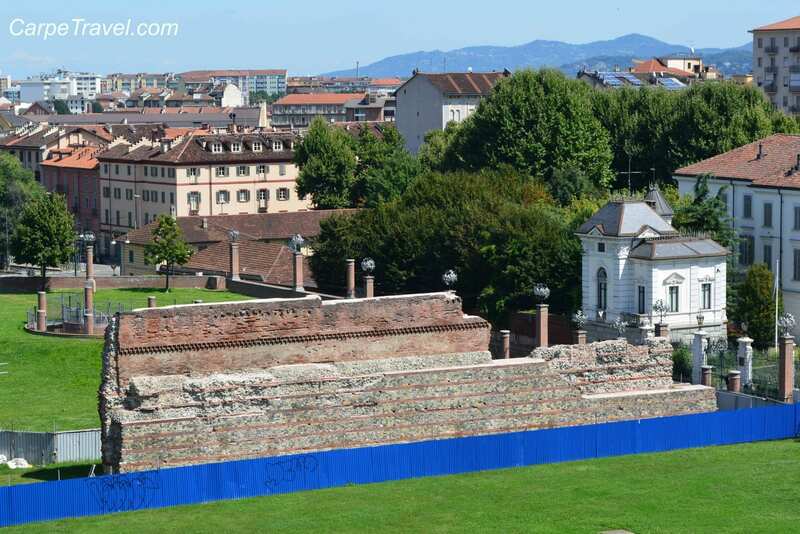 But as luck – or fate – would have it, The Shroud of Turin was the FIRST thing we saw; setting the stage for an amazing day in Turin. When we ventured from our hotel to do a little exploring and find that last bottle/s of Barolo, The Husband suggested we duck into a little Cathedral we stumbled upon on our way to Piazza San Carlo. (He is a good Catholic and wanted to say his Sunday prayers.) The Cathedral was a very, simple 16th century Renaissance Cathedral that one would not assume is the home to a treasured Christian relic. 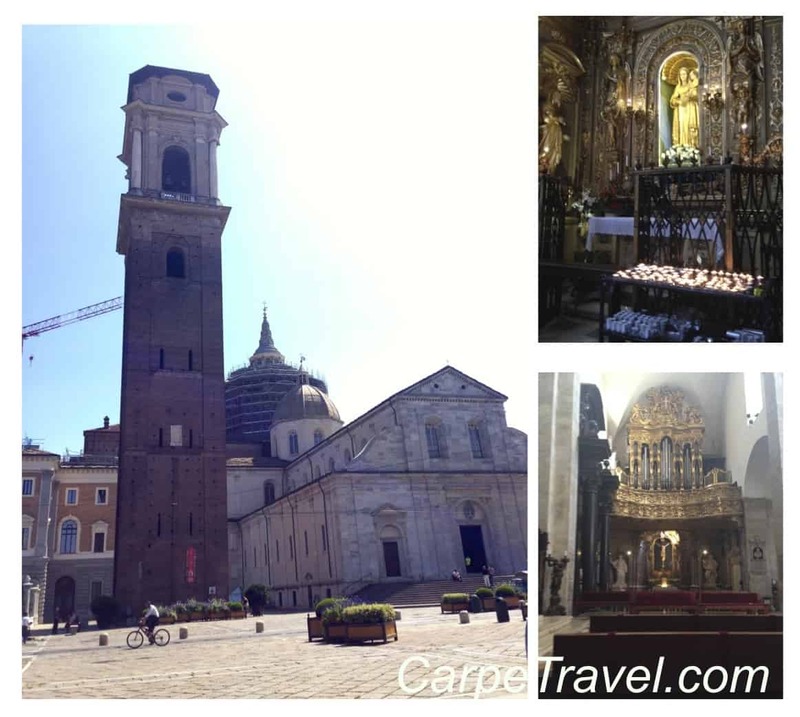 I began walking the interior of the building admiring the artwork lining the walls when I realized I walked right up to The Shroud of Turin…and so began our amazing day and my list of things to do in Turin. 3. 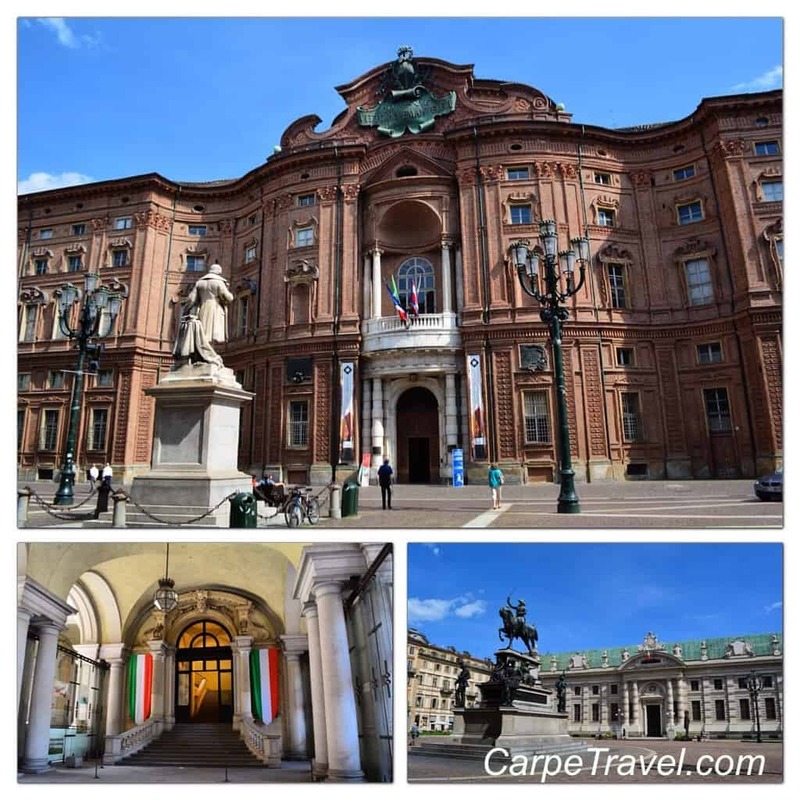 The National Museum of the Italian Risorgimento and Palazzo Carignano: We accidentally made our way to The National Museum of the Italian Risorgimento (Museo Nazionale del Risorgimento Italiano) on our way to Piazza Castello. Given it was Sunday and very few cafés were open we grabbed in table at a bustling outdoor café in Palazzo Carignano – right outside The National Museum of the Italian Risorgimento. Not realizing the ornate building we were looking at, our waiter educated us on its history and relevancy to Turin’s colorful past. 6. 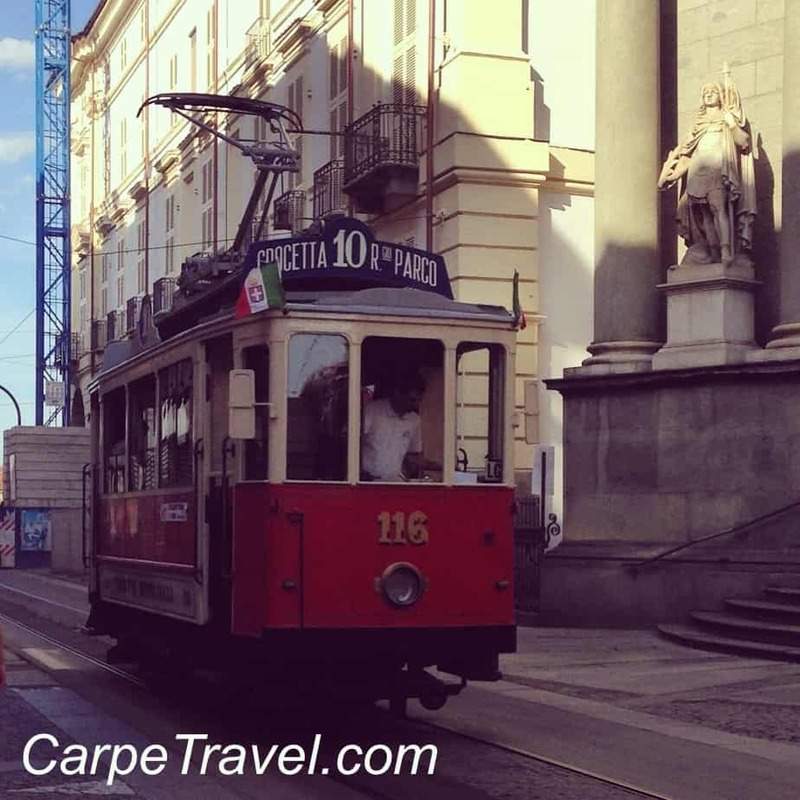 Ride the Historic Tram – Linea 7 Tram Storici: From Piazza Castello you can jump onto the Linea 7 Tram Storici, which takes visitors on a circular tour of the city and many of its sites. The tram begins and ends at Piazza Castello, although there are stops along the way. The full ride takes around 50 minutes and costs about €1.50. 7. 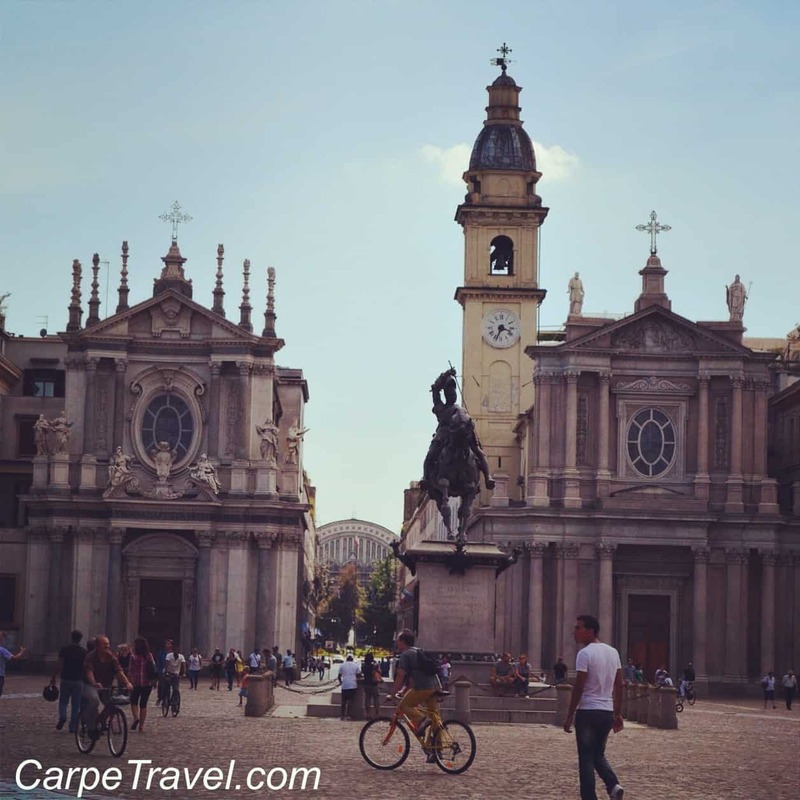 Piazza San Carlo: Alive with cafés and shops, Piazza San Carlo is buzzing – even on Sunday’s – with locals sitting about chatting with one another. The piazza was designed/built by Carlo di Castellamonte between 1642-1650 with Baroque buildings surrounding the square. There are almost twin façades churches – Santa Cristina and San Carlo – next to each other that lead you back to Via Roma and to the train station. While there are notable buildings surrounding the square, the equestrian statue of Emanuele Filiberto that stands in the center seems to draw the most attention, at least mine. If you’re looking for a café in the square, try Café Torino. 9. Stroll Along the Po River: The Po River is Italy’s longest river and a main water source for feeding vineyards, crops, rice fields and fisheries. In Turin, the river makes for a beautiful setting for a walk or bike ride along its banks. It’s also home to Turin’s largest parks, the Parco del Valentino. The park preserves a genuine 16th century castle and a reconstructed 15th century medieval hamlet. 10. Enjoy an Aperitivo: Did you know vermouth originated in Turin? And being in Piedmont, Turin has an AMAZING selection of wines you can’t find anywhere else? All the more reason to enjoy an aperitivo here! (The word “aperitivo” is the name for both the ritual of going out for a pre-dinner drink. It’s an Italian tradition.) I do not have any suggestions on places for your aperitivo in Turin but I do suggest you try a local vermouth and a Barolo wine. You’re in Piedmont, come on! 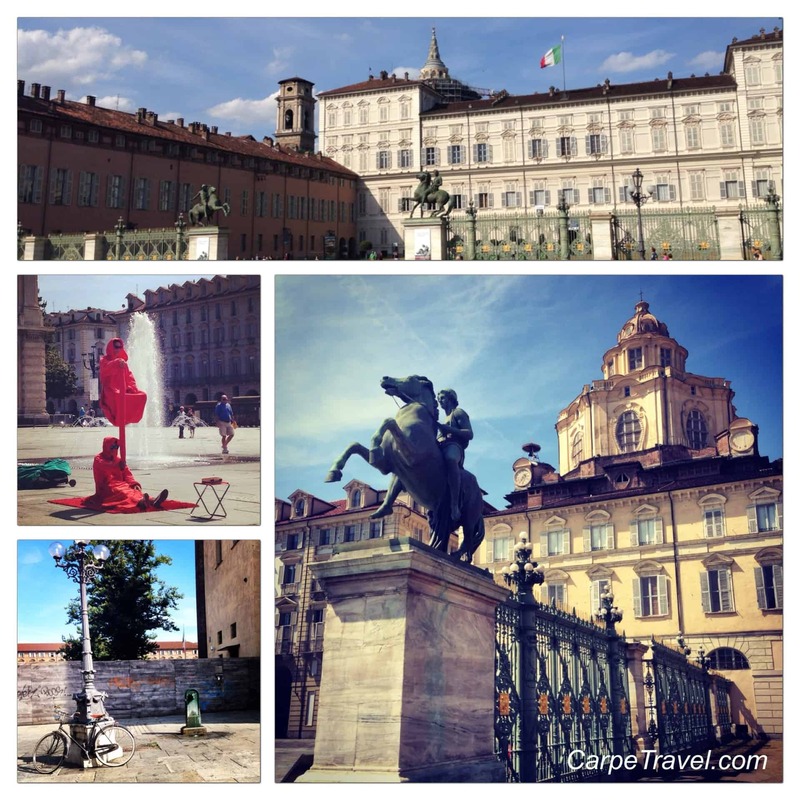 Have you visited Turin? 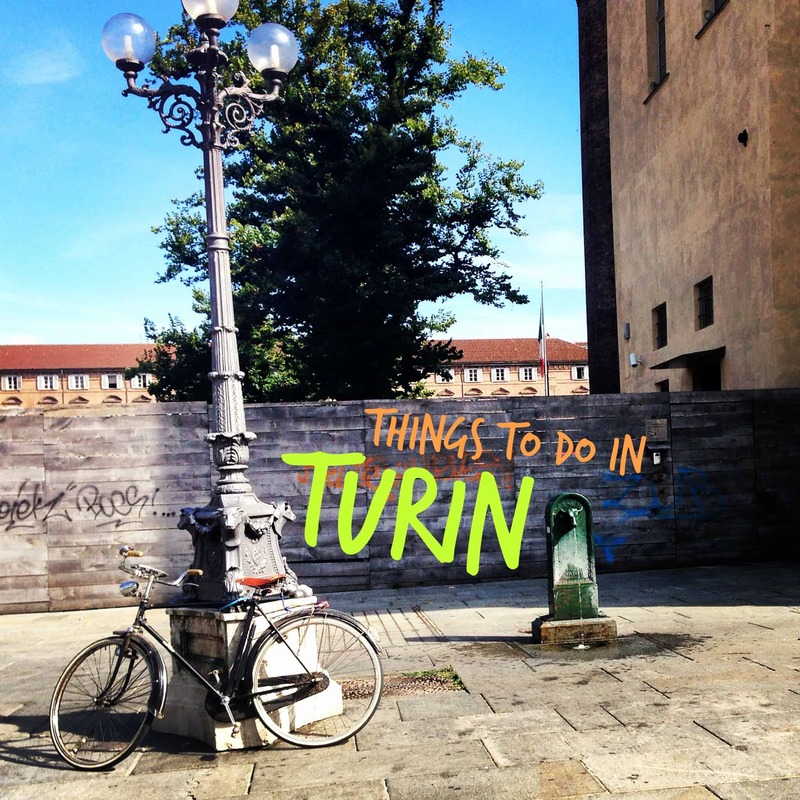 What are some of you favorite things to do in Turin? What a great list! Your photos are beautiful and isn’t it great when the most unexpected places bring us so much pleasure? Thanks for a great read. Thanks! I do love it when those unexpected visits become some of the most memorable. Gotta go to Turin then. I loved visiting Turin earlier this year. 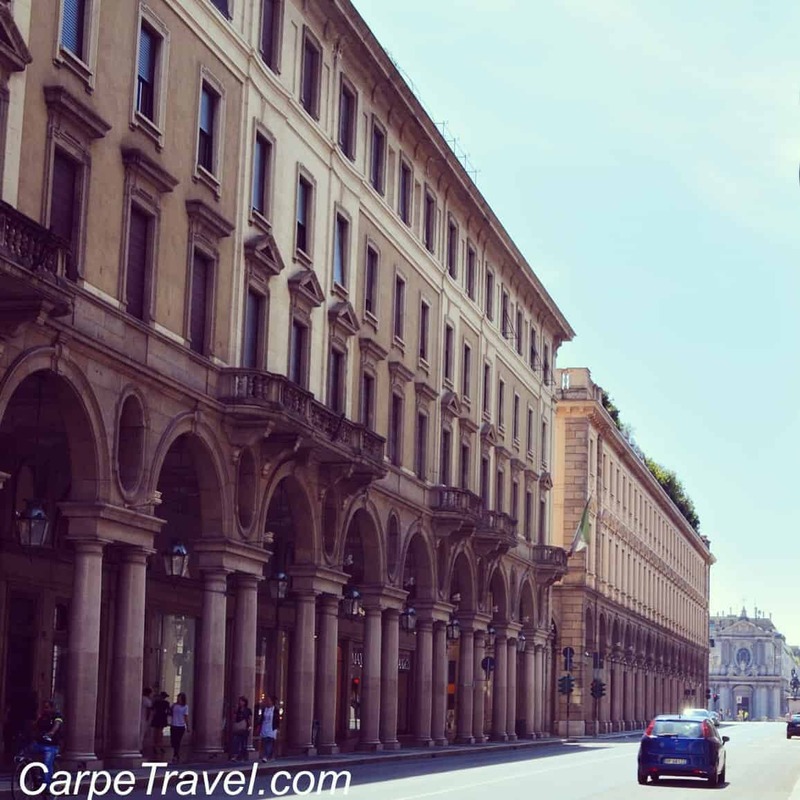 Italy is a favorite destination of mine and Turin is on the top 5 best cities I have ever visited in Italy and maybe Top 10 in Europe. The city has a great vibe to it. As soon as I stepped out of the terminal, I clicked with everything in Turin; the people, the weather, etc… It has been the highlight of my year so far. Of course, being a car lover myself, I visited the National Automobile Museum of Turin (I’m surprised it is not on this nice list). I enjoyed the vintage cars there. I, especially, loved Turin for its love of museums. They were so many in the city and I am pretty sure I missed many of them in one week stay. I hope I can check them out sometime when I visit again. I hope you enjoy your stay there!